The Light Car and Cyclecar magazine had a supplement booklet of twenty three drawings by Smallwood probably issued during December 1916 that cost one shilling. The title was "Laughs on Light Cars" by Temple Press. The drawings are humorous in a similar style as Heath Robinson and are all signed and dated between 1915 and 1916. 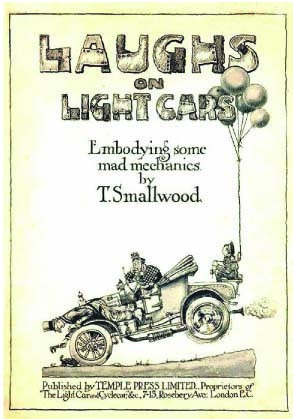 There is an introduction page to the cartoon book and this says that Smallwood was responsible for a great deal of the technical drawings that appeared in The Light Car and Cyclecar and the first of his cartoons was published in the issue 17th May 1915. This probably infers that he was a staff artist with the magazine as opposed to working as a ‘Freelancer’. 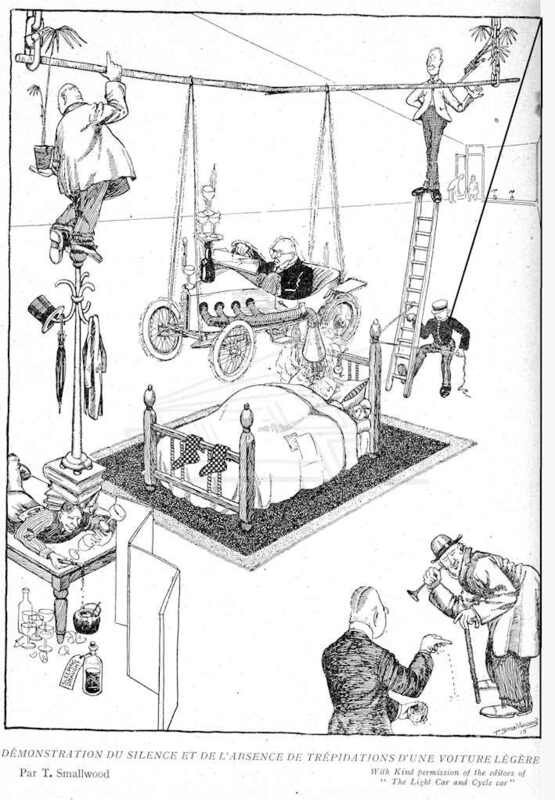 The text says that the cartoons are the style of Heath Robinson albeit the ideas are unique to Smallwood. 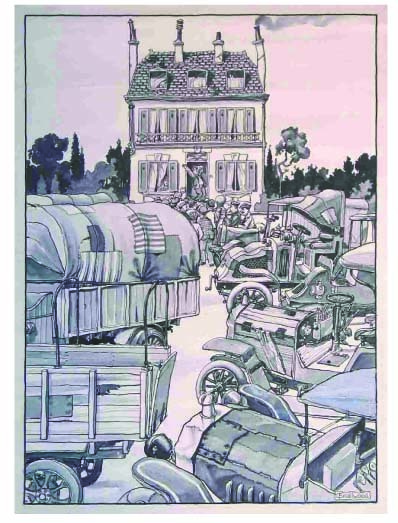 Smallwood drew some art for The Motor Owner in 1928 and also supplied drawings for the French magazine ‘AUTOMOBILIA’ in probably October 1918 at the end of the first war. Two original cartoons have surfaced that are endorsed on the reverse “From T Smallwood, Alexandra Park Road, London N22. for Automobila, 17 Faubourg Montmartre, Paris. They are stamped by the magazine on arrival 28th October but no year stamp. 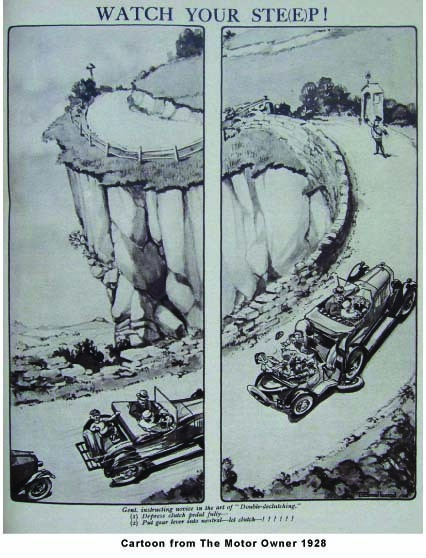 French cartoon taken from The Light Car and Cycle Car. Image courtesy of David Burgess-Wise.